Reece Trumpelmann was diagnosed with Gorlin-Goltz syndrome, a rare autosomal dominant disorder, and could really use your help. 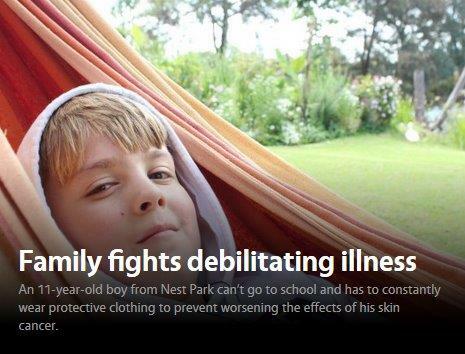 After 10 years of seemingly unrelated symptoms such as hydrocephalus, hydrocele issues and an enlarged cranium, Reece Trumpelmann was diagnosed with Gorlin-Goltz syndrome (NBCCS) at the age of 11. Gorlin-Goltz syndrome is a genetic disorder which affects many parts of the body.